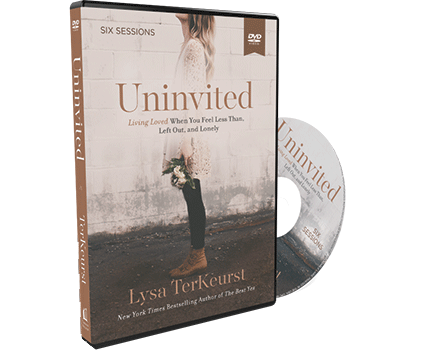 The enemy wants us to feel rejected . . . left out, lonely, less than. 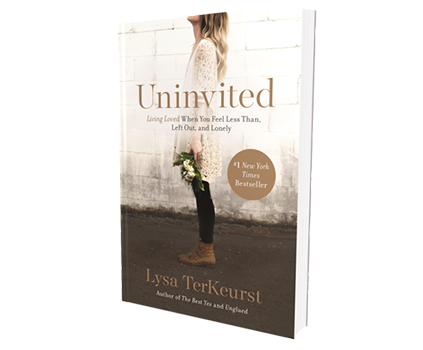 Teaching from significant locations in the Holy Land, Lysa draws lessons from Biblical events that connect to her own experiences with rejection—from the painful childhood abandonment by her father to the perceived judgment of the perfectly-toned woman one elliptical over. 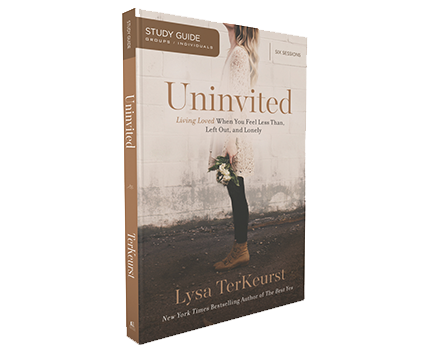 Discover how we are destined for a love that can never be diminished, shaken, or taken—a love that does not uninvite. 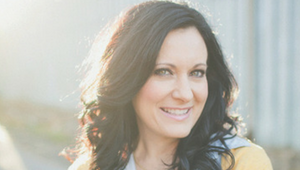 “Please don't buy this book thinking it will have all of the answers to your questions and problems. It doesn't say ‘in order to feel loved after this type of situation, you need to do this,’ and bam, it's fixed. 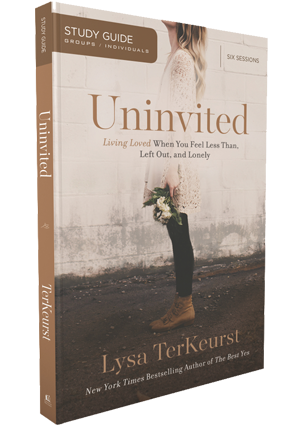 Uninvited is a book that requires some reflection and self-analysis as well as some time to process the readings."